National Coming Out Day is held on October 11th every year. In our Round Table discussion, Mike Witsch and Maura Carlin spoke with Shepard Verbas, The LOFT Community Center’s Manager of Programs & Services; Ed Fitzpatrick, The LOFT 55+ Peer Support Group; and Sean Foster Michael representing WJCS Center Lane, who explained what coming out is, how to come out, and where to find local support. In the Spotlight, Westchester’s Her Honor Mentoring Program matches high school students with professional women in the area. LMCTV was at the launch of the program’s twelfth season. In our Round Table discussion, Local Live News Director, Sibylla Chipaziwa spoke with Jirandy Martinez, Community Resource Center Executive Director, Kevin Duarte Chon, CRC Workers Center Organizer and Village of Ossining Mayor Victoria Gearity about the Green Light NY Initiative and its effect on Westchester residents. In our Round Table discussion, Steve Anastas talks with LMCTV Sports Producer, Rob Moretti about our local sports teams. Keeping with our local sports theme, Rye Neck holds the third sport in the New York State Class B Boys Soccer rankings, and is on a four-game win streak. In our LMC Varsity Sports Play of the Week, Spencer Goldberg assisted on a great kick by Jon Casas. In our Round Table discussion, Maura Carlin and LMC News Director Sibylla Chipaziwa spoke with Lou Young, former CBS 2 New York reporter and director of communications, Sussman for NY Attorney General; and Alina Tugend, journalist and New York Times contributor, about the current state of the press. Mamaroneck High School discusses new updates to their campus. Immigration lawyer, Marcia Guevara, led a discussion in Spanish at the Mamaroneck Library on unaccompanied minors under the age of eighteen who enter the U.S. without an immigration status nor a parent or legal guardian. Cynthia Arce gets charged with second-degree murder following the death this past April of her two-year-old daughter, Gabriella Boyd. The Village of Larchmont, the Village of Mamaroneck and the Town of Mamaroneck came together to remember the local lives who were lost in the 9/11 terrorist attacks seventeen years ago. 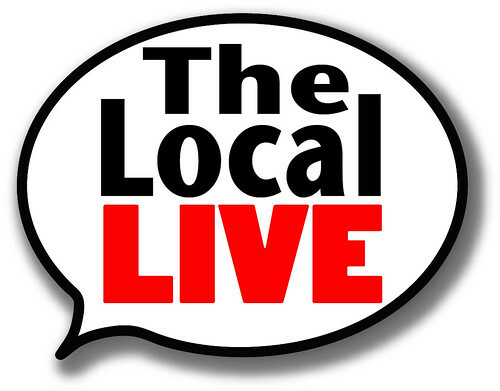 The Local Live #226 – Westchester Music Festival Round Table. In our Round Table discussion, Mike Witsch spoke with Eric Milness, artistic director of the Westchester Music Festival, and Louis Scenti, board secretary of the Westchester Music Festival, which will be hosted by St. Thomas Church, located at 168 West Boston Post Road in Mamaroneck. The Local Live highlights community Green Power Initiatives and community updates about town parking in this show.